I’ve upgraded my Anet A8 to use an ATX computer power supply(PSU) to power the heated bed. Why would you need to do this? The printer worked fine without it. The heated bed can take a while to heat up and it draws all its current through the controller board. Some users have reported burning marks on the connectors, which indicates too much current is being pushed through the controller board. So I decide to do this modification on mine. The heated bed can be connected with a power supply from an old ATX computer PSU quite easily. You need to use a Mosfet to supply the current from the ATX power supply to the heated bed. It’s just a relay that uses a small current to switch on a big current. Check this link for a Mosfet they are quite cheap on eBay or Amazon. 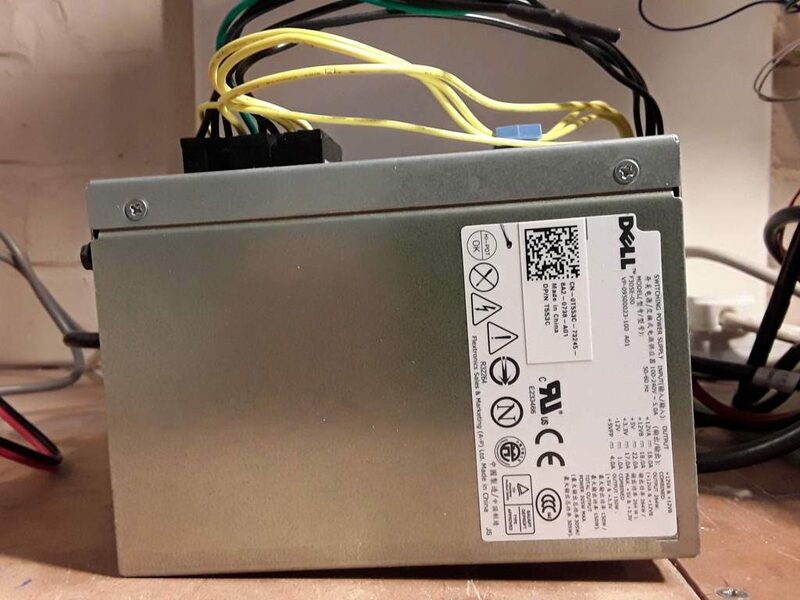 You can buy replacement PSU relativity cheaply but an even cheaper solution for me was to use an old desktop computer ATX power supply. I had already built a 24 Volt PSU for my Hot-wire CNC machine using two of them wired in series but you need to be very careful doing this. Mine came from an old Dell Optiplex and rated to give 18A at 12V so this should be more than enough. Heat up time is quite quick now and the original PSU that ships with the Anet A8 do not need to supply as much current. Please be careful with the mains side of the PSU it can be dangerous if in doubt don’t do this mod. Here’s a great video by MakerGeeks on how to wire it up.